Our team has diligently been working to get the same assess anything experience you’ve come to know and love on the web for the mobile app. No longer will you only be able to assess accounts, but any other objects you want! Now the Public Assessment Viewer is more customizable than ever! 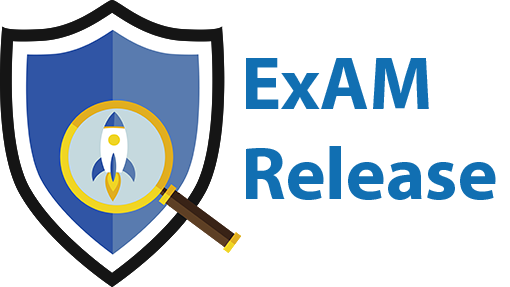 With an option to upload your own static resources for the header and footer of an assessment, admins can fully match the look and feel of their own brand, while utilizing the power of ExAM assessments. For all those utilizing our custom ExAM mobile app for iOS and Android, you’ll experience viewer speeds up to 75-100% faster, resulting in more inspections for you and your team. Users can now easily see from the public assessment record the name and description of the attributed assessment template, giving you more information all without having to leave your page! Have you ever written up a question and answer pair only to move onto the next one without saving your efforts? Now the ExAM lightning template creator prompts you to remember to save. Sometimes you don’t want to bog down users filling out information for a survey they only take for a specific reason. Let’s say you want to let users unsubscribe to an email list. With a hidden question value that maps to a subscribe field on their contact record and the auto submit turned on, users only have to click on an unsubscribe link to update their record. Loading and managing images for the image question type has never been easier! Now you’re able to see exactly what image goes with which answer as well as being able to replace single images anywhere on the question. Inspection Report has additional fields of ‘Assignment Number’, ‘Resolution Status’ and ‘Comments’ as well as sequential repair numbering.